In the last week media and social media alike have been buzzing about the potential release of powdered alcohol named Palcohol by a US Arizona-based company Lipsmark. I got to chat about whether powdered alcohol is possible and whether it’s a good thing to be considering consuming on George FM Breakfast with Clarke Gayford and Aroha Harawira. It’s an intriguing story, complete with twists and turns and backtracking and the media cacophony all started because of a blog post! 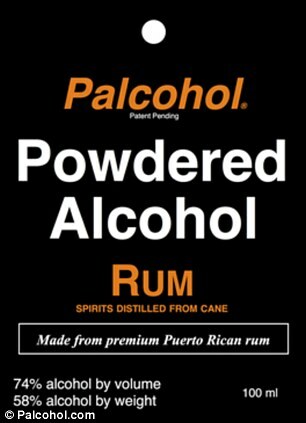 Palcohol’s powder found itself with unexpected early and possibly unwanted publicity when the US Alcohol and Tobacco Tax and Trade Bureau released approved labels for Palcohol without the company having forewarning. That had people rushing to the draft website to discover some supposed tongue-in-cheek and experimental marketing material that was apparently never meant to be seen by the public. Lipsmark hastily embarked on damage control and rewriting of their website to make it clear that Palcohol should be used in a responsible fashion. In the original version, suggestions that you could snort the powdered alcohol, sneak it into events, add it to foods as a condiment etc caused uproar, with huge concerns around potential health risks. I’m not sure why you would have a publicly view-able website in such a contentious state, even if the product wasn’t yet ready. 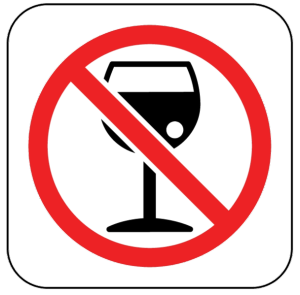 Palcohol could be easily taken into alcohol free events. Image source: Wikimedia Commons, uploaded by Sreejithk2000. Confusion also reigned because people thought the product itself had been approved, rather than just label approval. And with all the furore erupting, suddenly the US Alcohol and Tobacco Tax and Trade Bureau did an about-turn and claimed the label approval had been in error and reversed their decision. The problem, at least that presented by Palcohol, seems to be to do with a discrepancy between the fill amount and the label (and it may actually be more to do with tax than safety). Whether that is the reason behind the rescinding of approval remains to be seen. Palcohol aims to be sold as a powdered version of rum or vodka or alternatively four ready to go (just add water) cocktail mixes. The product’s founder Mark Phillips claims on the Palcohol website that he came up with the product idea because he is really active and wanted to be able to enjoy an alcoholic drink after hiking, camping, kayaking etc without extra weight. Admittedly, this is potentially a good target use for the product but hard spirits are to be honest the last thing I feel like after a hard day’s tramping. Palcohol labels: first approved and now rejected by the US Alcohol and Tobacco Tax and Trade Bureau. Actually no, not at all. And if at first you were as skeptical as I was that creating powdered alcohol could be done, it can indeed. The idea of powdered alcohol has been around for 40 years since a US patent was registered for the process as early as 1974. Palcohol wouldn’t be the first powdered alcohol to hit the market either. In Germany and other countries, an alcopop powder Subyou is retailed, that when diluted with water as per the instructions results in a 4.8% alcoholic drink. In the Netherlands, students created a product Booz2go for their peers. The big difference between these products and Palcohol is that the former two result in a low alcohol percentage drink when dissolved in the appropriate amount of water whereas Palcohol would be about 12% alcohol by volume and about 60% alcohol in the powder by weight. There are even make your own instructions available onto the internet but I’m not going to link to those. Does the world need widespread availability of powdered alcohol? Image source: Wikimedia Commons, uploaded by Onlymyself65536. Although, Palcohol haven’t outlined how their product is formed, it is most likely formed using something called molecular encapsulation methods. For an easy to watch video discussing some of the science click here. Molecular encapsulation is pretty cool. 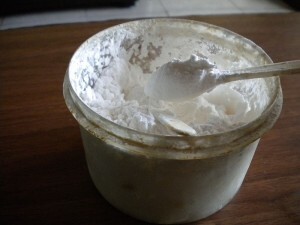 In the case of powdered alcohol the alcohol is trapped within carbohydrate molecules, which have first had any water removed to form a very dry powder. To encapsulate, if you think of a simple sugar molecule as something like a hexagon with arms and legs and if you then link a few of these together via their arms and legs to form a circle, then this becomes a ‘trapping’ structure called a cyclodextrin. If liquid alcohol is then added (distilled rum or vodka in the case of Palcohol), the starchy powder can absorb up to 60% of its weight in alcohol, with the alcohol molecule trapped in a giant ‘hug’ in the middle. 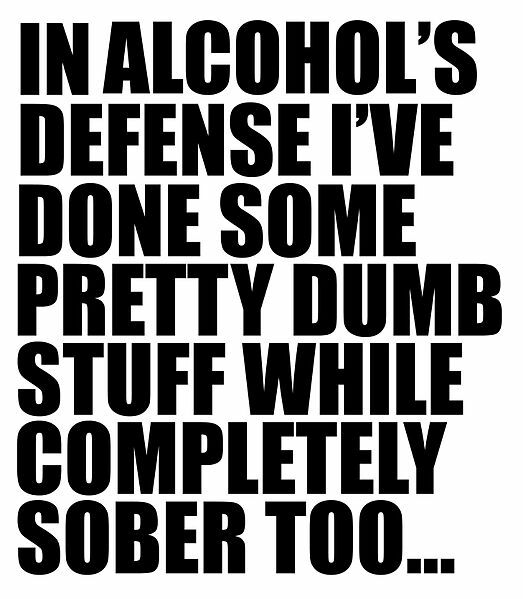 To release the alcohol again, all that is needed is to add water or a water-containing solution. Up until the point that alcoholic refreshment is desired, the powder can be kept in a sealed packet. So should we be alarmed? Firstly, perhaps we should be worried about the flammable nature of this powder. It certainly may not be a good idea to have a flame anywhere near opened powder, such as may occur when taking the powder out tramping. Cyclodextrins, although widely used in the food industry and considered safe and even to have some beneficial effects are not benign, inert molecules. They are used as drug delivery molecules but they are also used as deodorising molecules – being the key odour trapping molecule in the aerosol spray Febreze. There’s been plenty of talk about the fears of what harm may happen from snorting this powder, much of it centred on direct alcohol absorption but one should be equally concerned about any effects of the carrier cyclodrextrin via this route. Nebulisation (mist inhaled into the lungs) of the alcohol powder is also possible and hasn’t been considered much in the media storm. Nor has there been much attention to the idea that not only could the powder be inhaled or snorted, but also eaten directly- at 60% alcohol by weight this could pack quite a hard-hitting punch, although whether this would result in release of the alcohol under these physiological conditions remains to be seen. Palcohol also contains the artificial sweetener sucralose. There are some studies suggesting that sucralose, like many artificial sweeteners is potentially harmful. Given also we don’t know what other substances have been added in particular to the cocktail mix forms of Palcohol and they are unlikely to be disclosed, is there even more cause for concern or is Palcohol really no different to instant coffee (albeit a different drug)? In a time when synthetic cannabis is the focus of the moment in New Zealand, what reaction did the possibility of Palcohol get? Well, scrolling through hundreds of comments on the GeorgeFM Facebook page, it seemed few thought powdered alcohol was a bright idea at all. Cheers to powdered alcohol or not? Image source: Wikimedia Commons, uploaded by WZ.